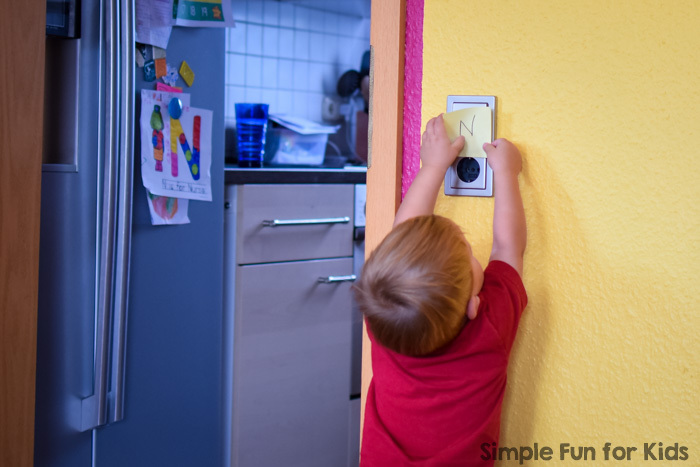 N is always on the move, climbing, running, and wreaking havoc a lot of the time 😉 I’m glad that his 2-year-old little body gets so much of a workout, and because I know that it helps him learn, too, I try to include as many gross motor aspects in our learning activities as possible. Pen, marker or something else to write with. 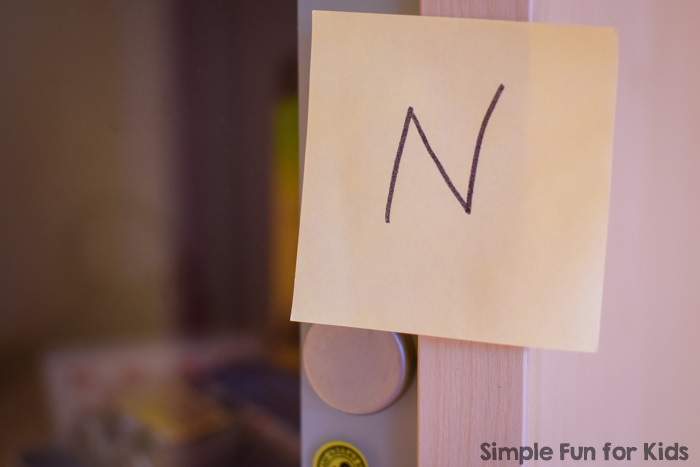 Because N is so little and still at the very beginning of his journey towards letter recognition, I stuck to a single letter on sticky notes that were all the same color. You could easily adapt this activity for kids working on other concepts. 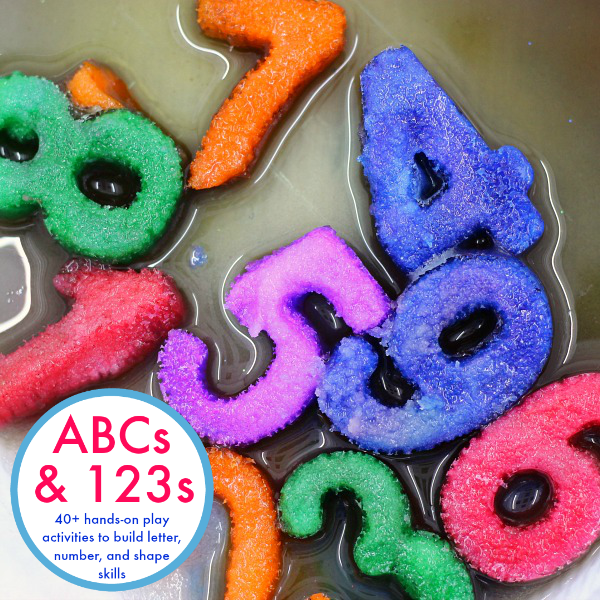 You can use several letters, sight words, math problems, etc. and extend the activity further with sticky notes in different colors. I chose letter N for this activity and wrote it on 10 sticky notes. I stuck each sticky note on a surface somewhere in the living room. They were in plain view, but older kids would also enjoy hunting partially hidden letters. They were all within reach of N, but some were easier to get than others. I simply asked N to get me “the letter N”, and he started running around to collect the notes. He came back to me with each note, and I asked him to put them on the sofa table. Halfway through, N realized that it would be fun to stick the notes in different spots than where he’d found them, so we never did end up with all 10 notes on the table 😉 N had a blast picking up the notes, sticking them in different spots, picking them up again, occasionally putting one back on the table, over and over. 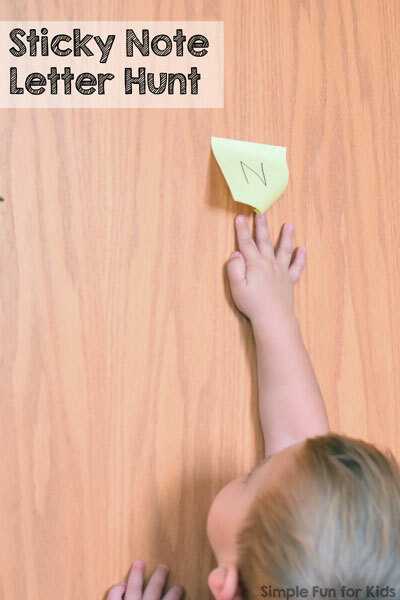 As he was handling the sticky notes, I kept telling him about the letter N, how it is the first letter in his name, and about other words that start with N.
Unfortunately, the adhesive on our notes wasn’t very strong, so it wasn’t as easy for N to place them as it could have. Still, N kept going for about 10 minutes, grinning, running, and burning off a good bit of energy while reviewing letter N.